Happy Friday everyone! 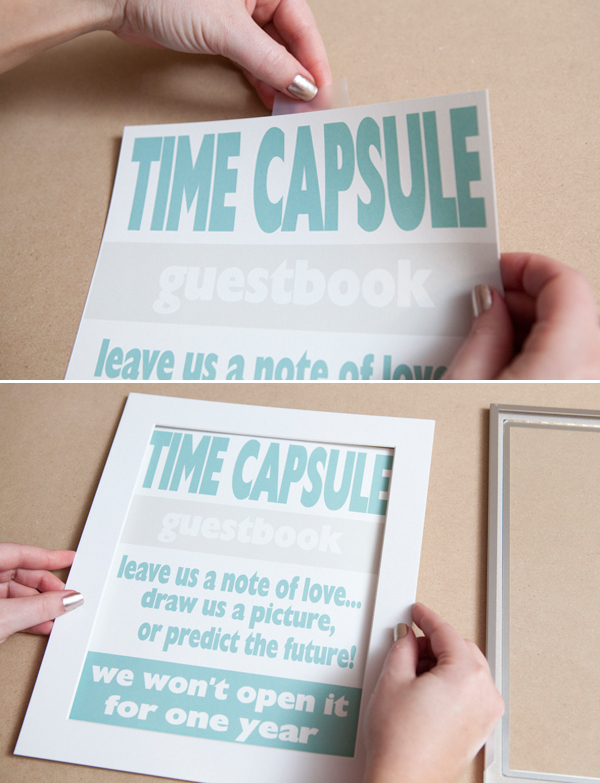 I have wanted to create something like this ‘time capsule’ guest book for a long time and I’m thrilled to finally share it with you today! 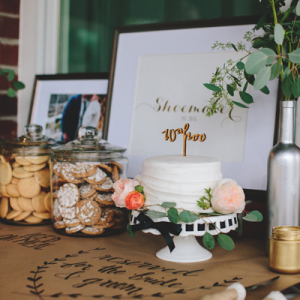 Your wedding day is so special and not many people get to relive it – which is why this unique guest book would be a treat for any bride and groom! 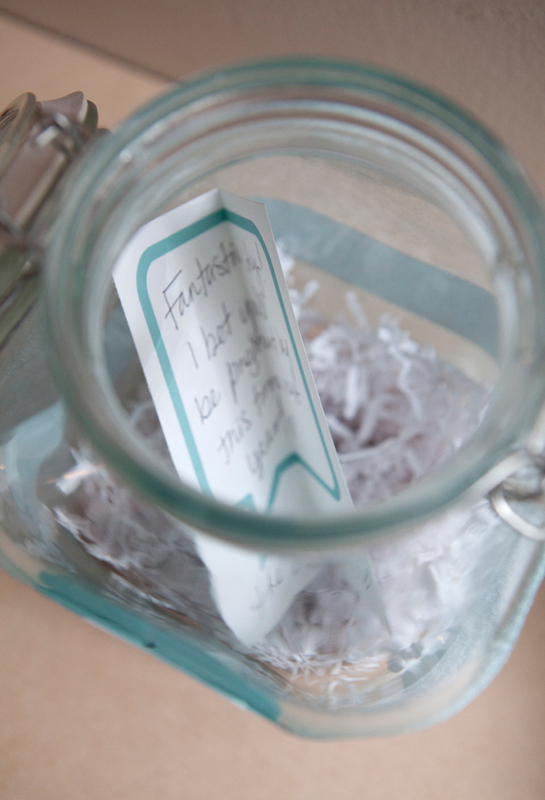 Making a vow not to open until your first year anniversary, getting to read special notes a year later is sure to bring that day right back to you like nothing else could! The ‘predict the future’ part seams like the most fun to read! Download the designs below and print them out at home or take them to your local print house. 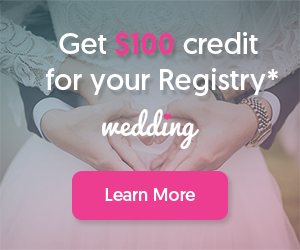 Obviously of the 1st and 3rd designs you only need one, but the amount of guest comment cards will depend on your size of wedding. What?? 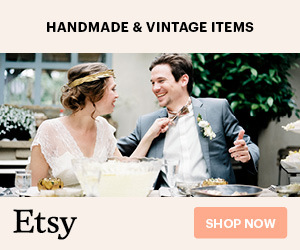 Your wedding isn’t turquoise! 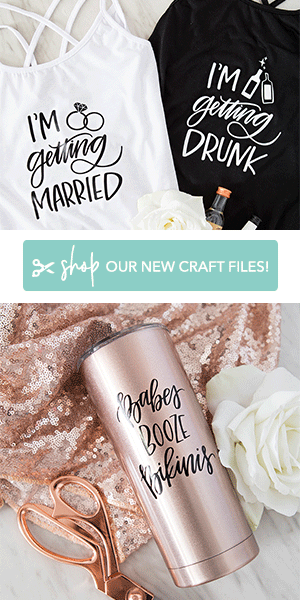 Not to worry, visit my Etsy listing and I will personalize pdf’s like below with your exact wedding colors! Framed Print for Guest Instruction: Don’t leave your guests in the dark about what they are supposed to do for your guest book! Frame this cute print to show them the way. Cut your framed print a little larger than your matte, for me this was 8.5″ x 10.5″. 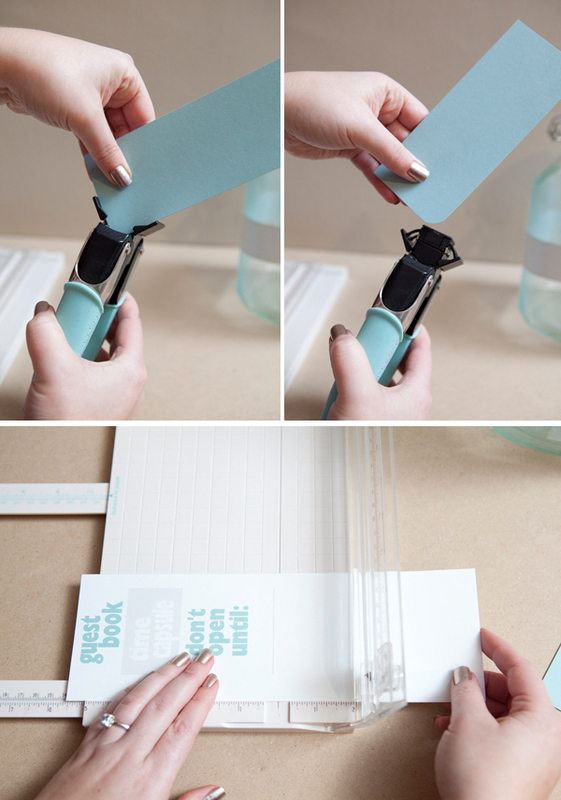 Put a little tape facing you on the backside of the print so that when you lay the matte on top, your print will stick perfectly – add more tape to the back to secure. Frame your print. Iron out your Ribbon! This is a fantastic tip that my friend Laura gave me! Is your ribbon wrinkly?? 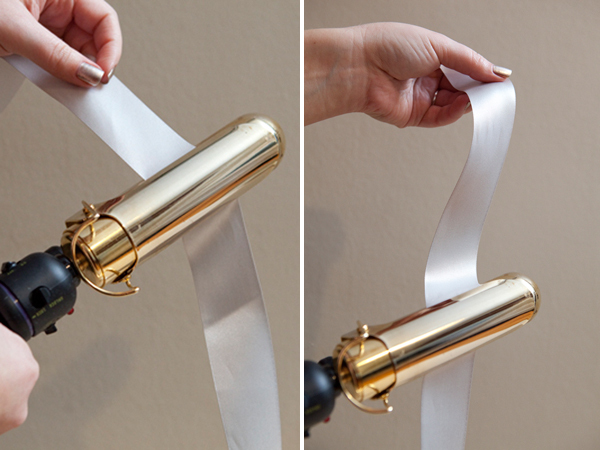 A quick and easy way to smooth it out, is to run it through a large barrel curling iron on medium heat! Make sure your curling iron doesn’t have hair product gunk on it before you do this! Always test an extra piece of ribbon if you are unsure about adding heat to a specific ribbon type. 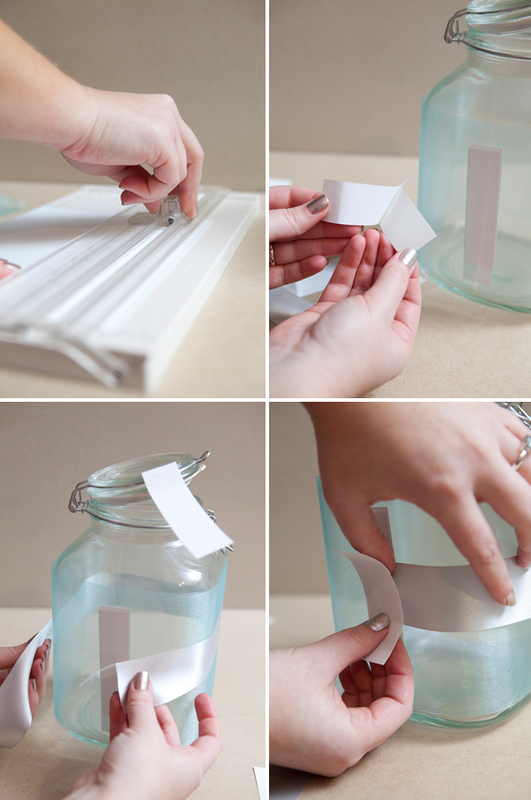 Decorating your ‘time capsule’ jar: This step is completely up to you! Follow my example or dream up your own decoration! The sky is the limit. 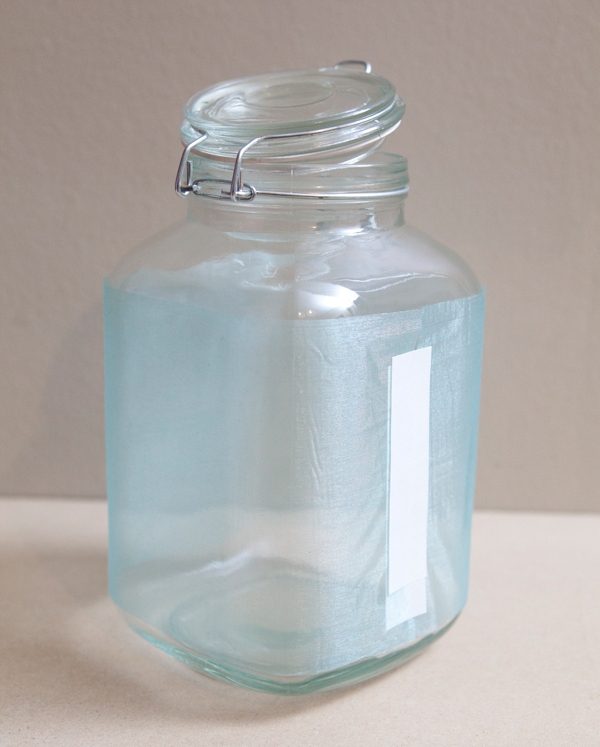 First I covered my jar with a extra wide organza ribbon, using small strips of sticker paper as adhesive. Then I added my second layer of satin ribbon, again using small strips of sticker paper. 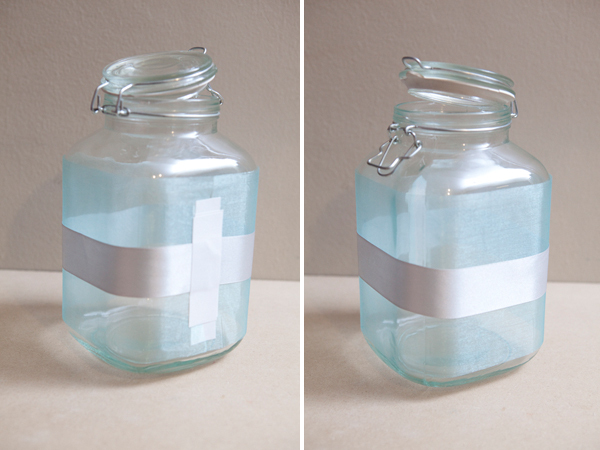 Next I measured the area that I wanted to cover with my cute jar label. It ended up being about 6″ x 2.75″ – so I made my label 6.25″ x 3″ in order to cover the area completely. This first piece of paper is 6.25″ x 3″, I cut it out and punched the edges with my corner rounding tool. Next I cut out my printed label, 5.75″ x 2.5″ and rounded the corners as well. Then using glue dots I attached the two pieces of paper together. 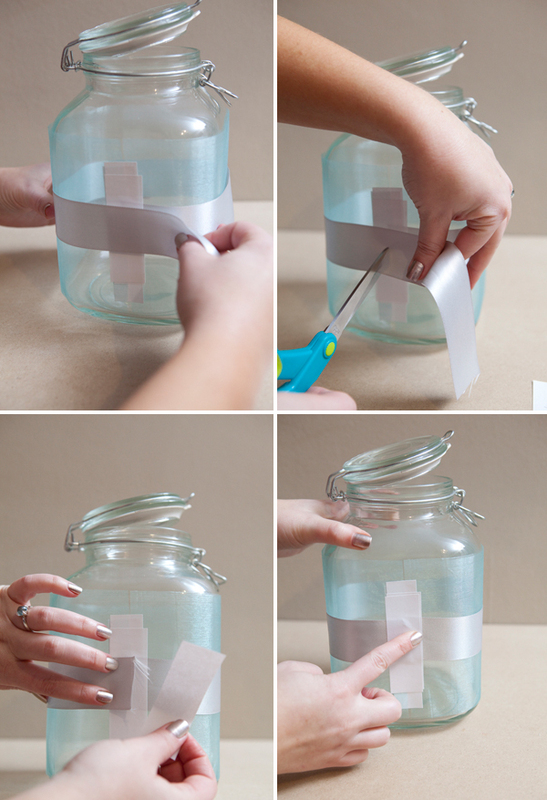 Once complete, again using glue dots – attach the label to the jar and write in your ‘open’ date! 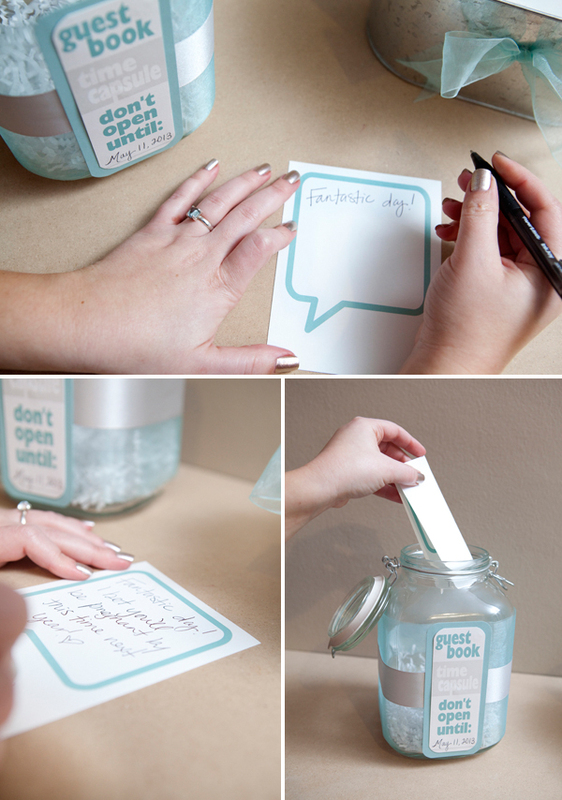 Speech Bubble Comment Cards: how cute are these!!?? 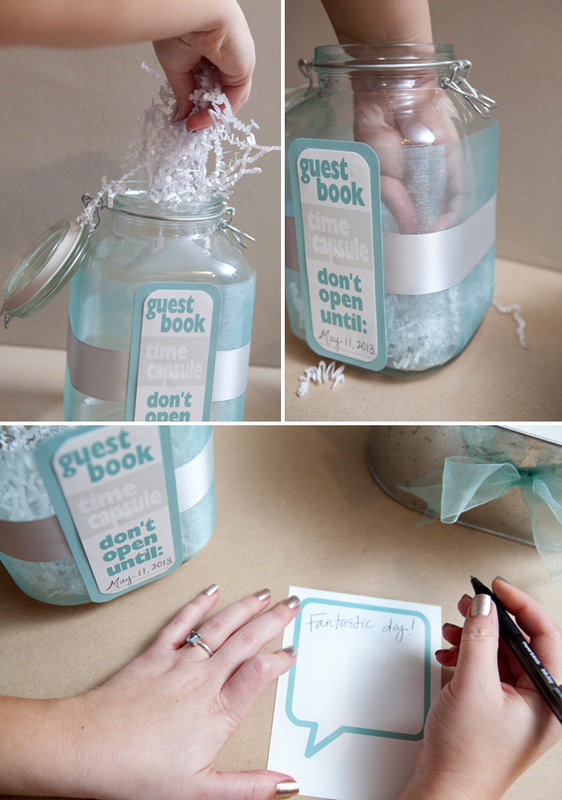 The perfect way for your guests to write you a special message! This pdf is designed to cut into perfect quarters from 8.5″ x 11″ sheets of paper – meaning each card will be 4.25″ x 5.5″ – four to a sheet. 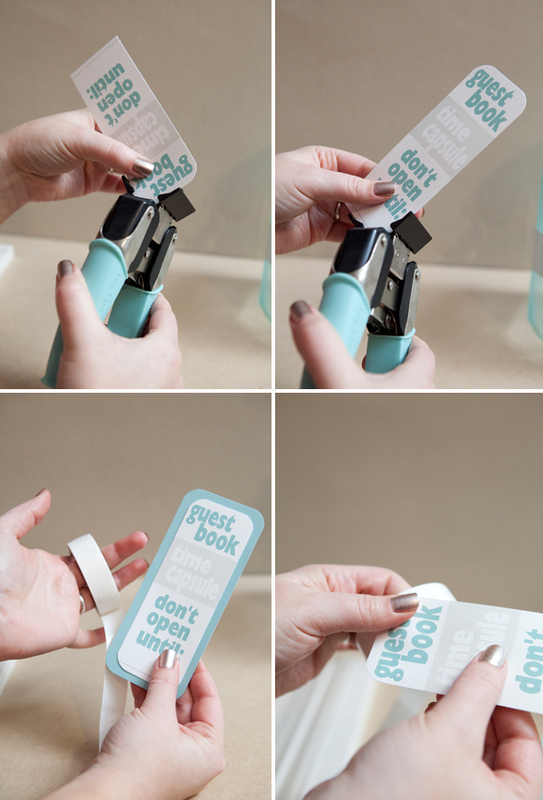 Print and cut as many as you need for your amount of guests. I usually advise 70% of your guest list – if you invited 100 people, you probably only need 70 cards. Women are the ones who mostly write in the guest books and rarely does every guest write something. I added a simple bow to this cute container I found at Michaels in the ‘garden-ish’ section, this is actually a planter. Using glue dots I stuck the bow onto the container – I would advise doing this step at your reception location to ensure that your bow doesn’t fall off in transit. Add some crinkle shred, your comment cards, and a couple pens! 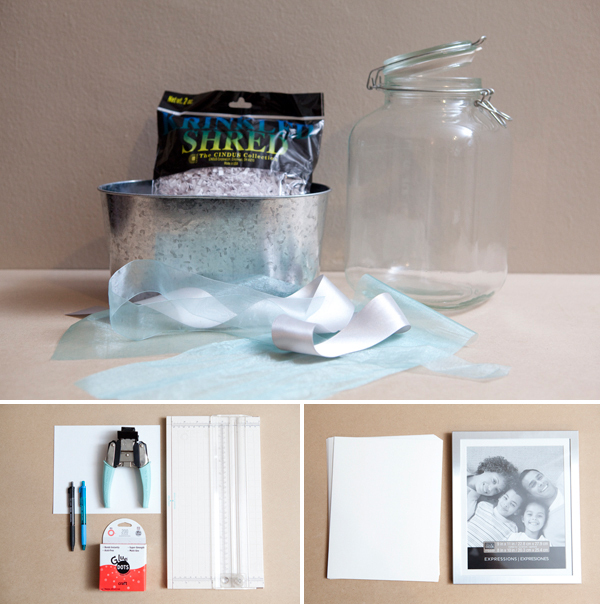 Add some crinkle to your time capsule jar as well… what else can you put in there? 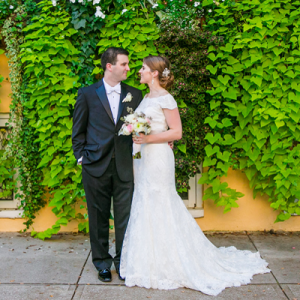 A personalized napkin or program from your day? A left over favor or possibly you could each write a special note to each other! 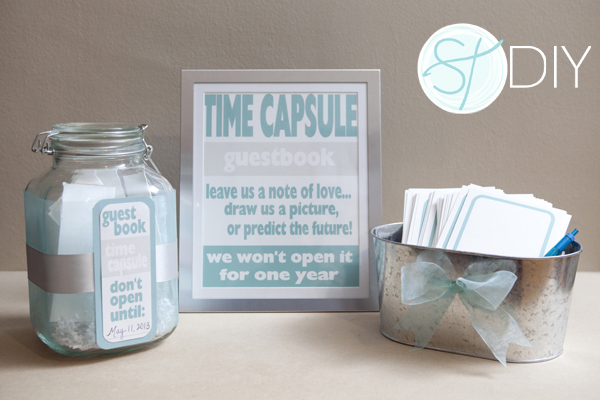 Your guests will write you a sweet note, draw you a silly picture… or predict the future! 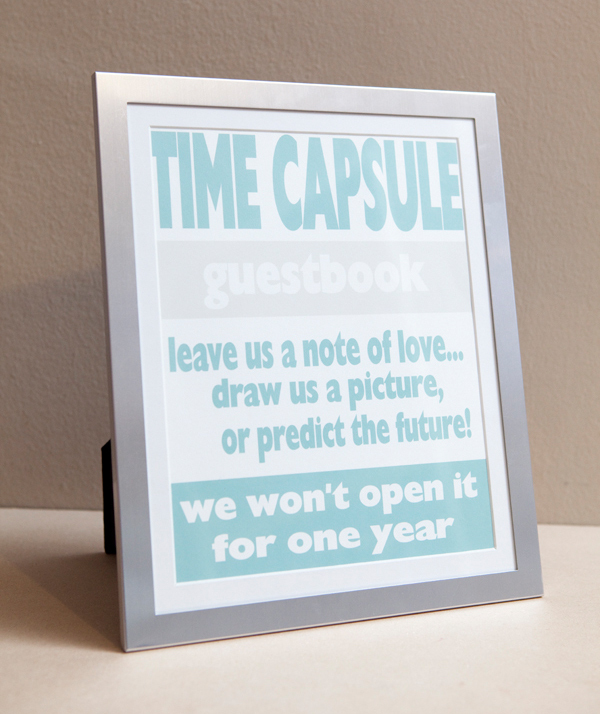 Such a fun and unique guest book that will give you an added reason to look forward to your anniversary! NO PEAKING through the jar! If you think you might be tempted, use a wide satin ribbon so you can’t see in at all! Jen, This is such a cute project. I would love to make one of these. It almost makes me wish that one of my kids would get married again! :) Keep up the good work. 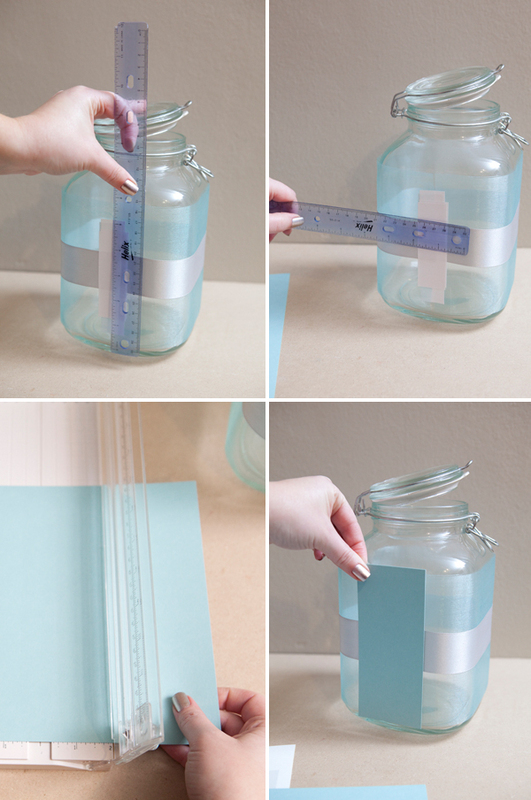 I am featuring this DIY on my Friday Friends feature on my blog, so come check it out! Thanks Gramma G, I appreciate it! I'll check it out! Love this! It's so unique and easy to DIY. Fantastic idea, wish we had thought of this 34 years ago. Great DIY. Oh my goodness, I love this idea! I've never seen this done at a wedding before-- so creative! :) I'm still figuring out details for the guestbook for my April wedding, but I just might take you up on that offer and contact you for a purple template! 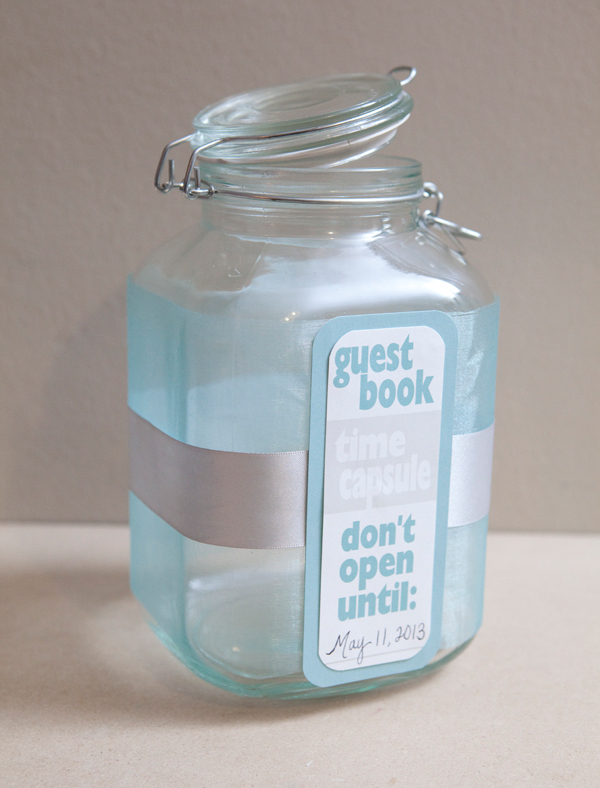 We had a traditional guest book, but also got a time capsule one from my brother and sister in law. It was wonderful to open it up one year later! Where'd you get the jar? Does the paper get all icky and nasty after it has been in there for sometime? This is a great idea. I love it and once I finish making it. I will post pictures for you to see. Hi Rachel! Question 1 & 2 can be found in my directions and credits. 3. Unless there is some type of moisture inside your, absolutely not - no icky-ness! 4. I'll look forward to it! It is just a fantastic idea!!!! I love it! Is it possible to change the color scheme? My wedding color is apple red. Where did you buy the container for the pen & paper?! I know this was posted in 2012 but hopefully I can still find that container! 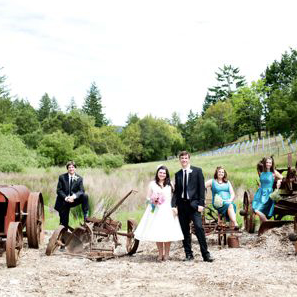 I am doing a similar idea for my Wedding and have been searching every where for a tin container just like that! Hi Dani! They are from Michaels. In the 'home garden and plants' section ~ I know they still have them! Love it! Also love the way to finish and cover handcrafting and adding the ribbon with the "cute jar label" it's a great solution!